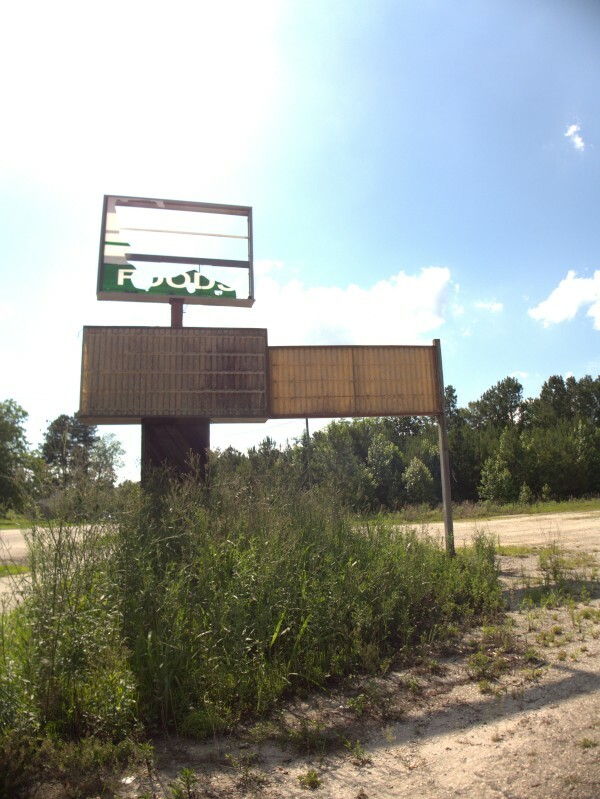 As I was driving through Greeleyville recently, I decided to see if the road by the high school cut back through to US-521 rather than just staying on 521 all the way. 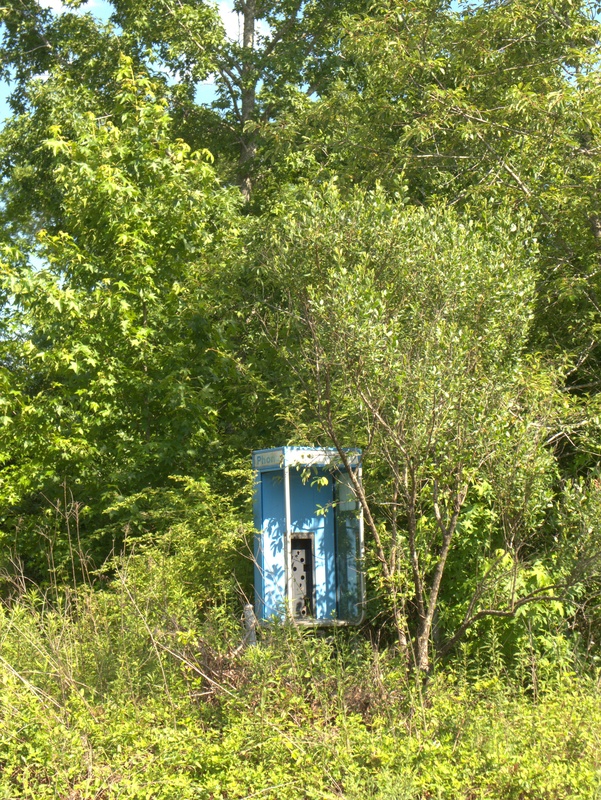 As it turns out, it doesn't quite, but comes close enough to see where you have to go to get back on the main route. 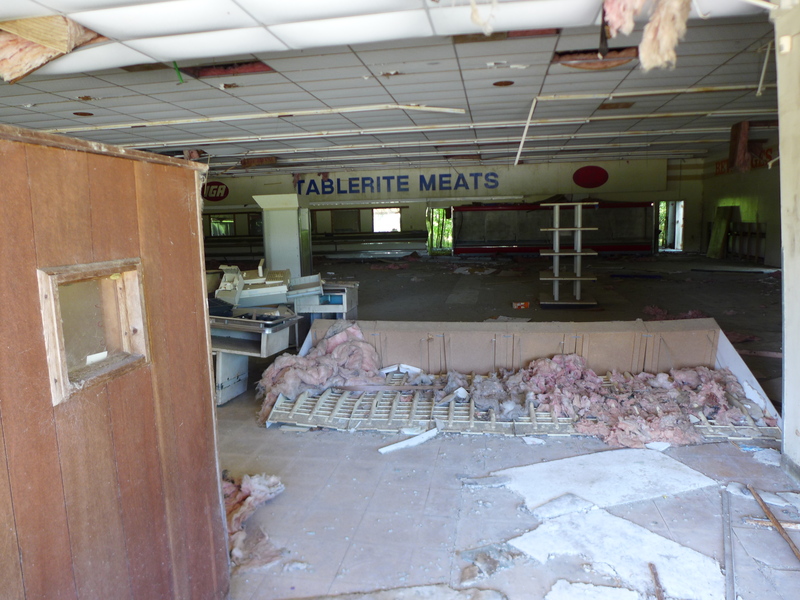 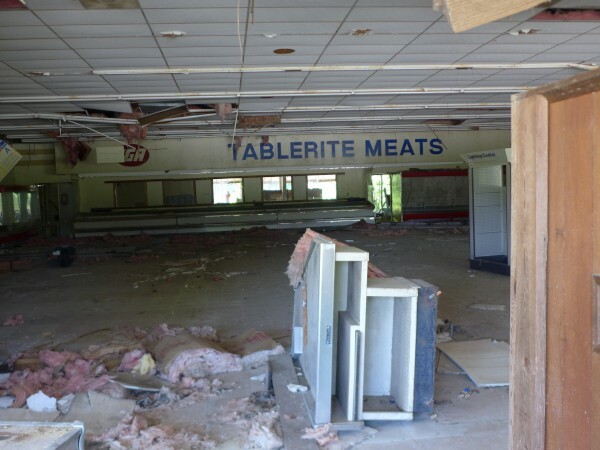 At any rate, while I was doing that, I noticed this vacant grocery store. 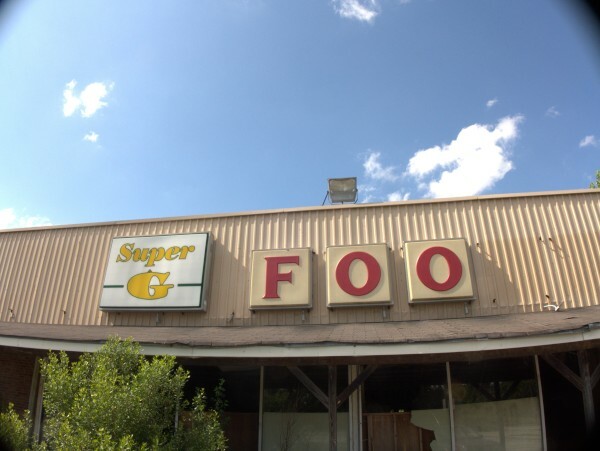 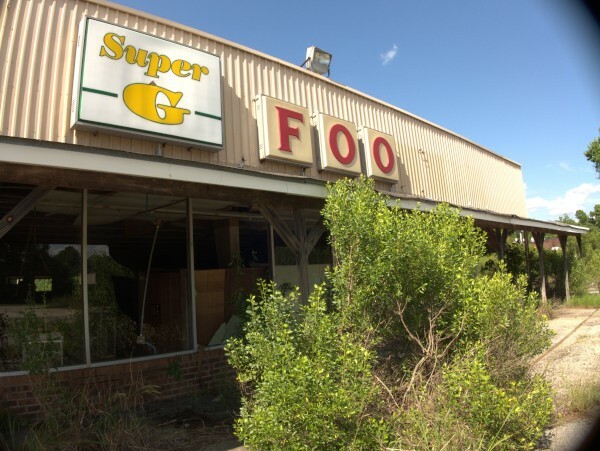 It was plainly an IGA at one time, but ended up as a Super G Foods (or Foo as the sign would now have it). Google Maps suggests the address may be 21 C E Murphy Boulevard -- that's certainly the street name. 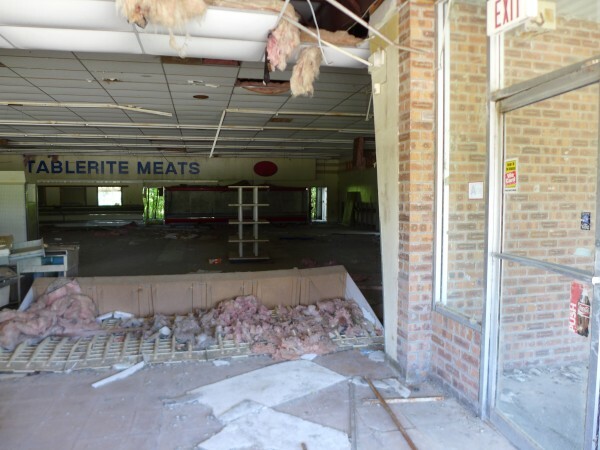 This article puts the closing date as bfore September 2013, and has pictures of the store in slightly less decrepit shape. 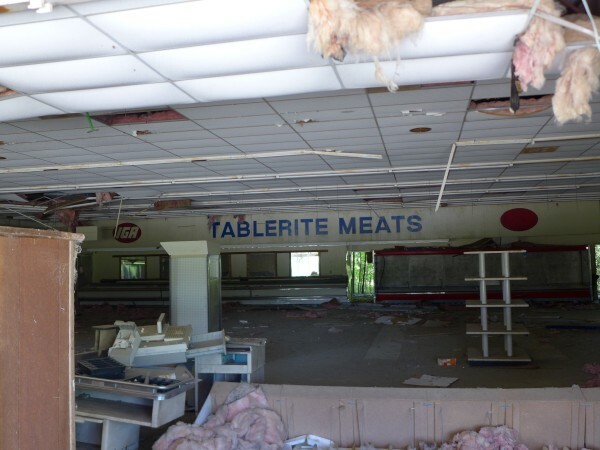 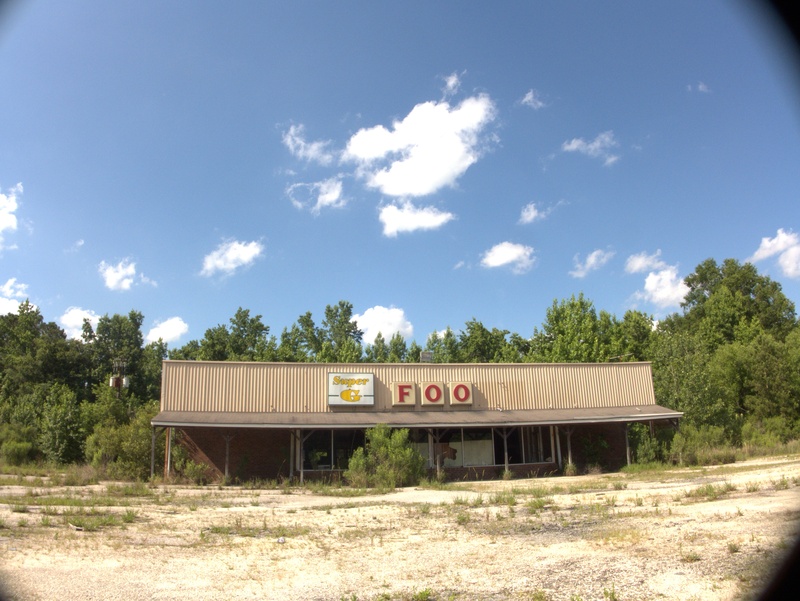 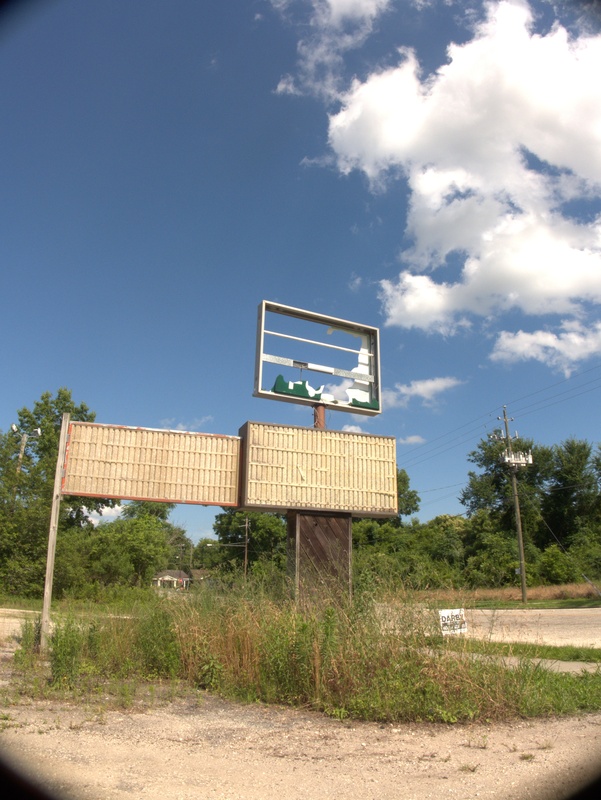 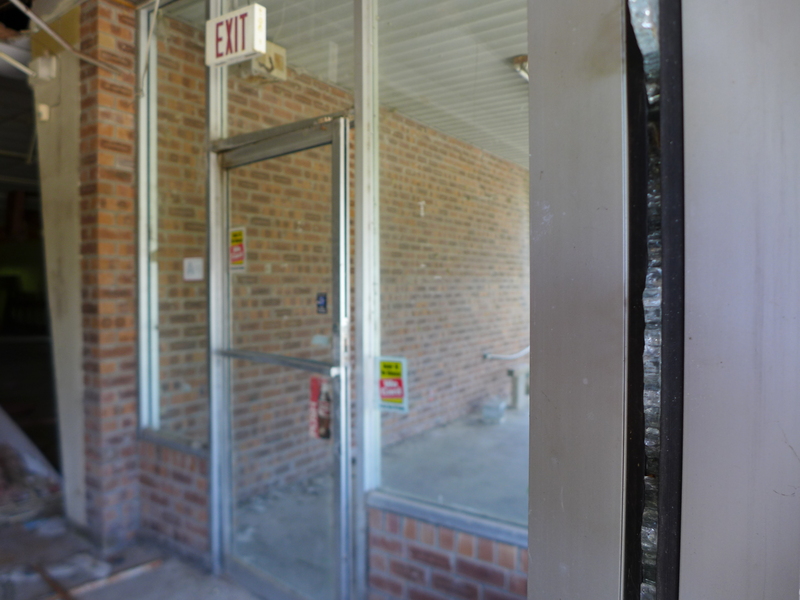 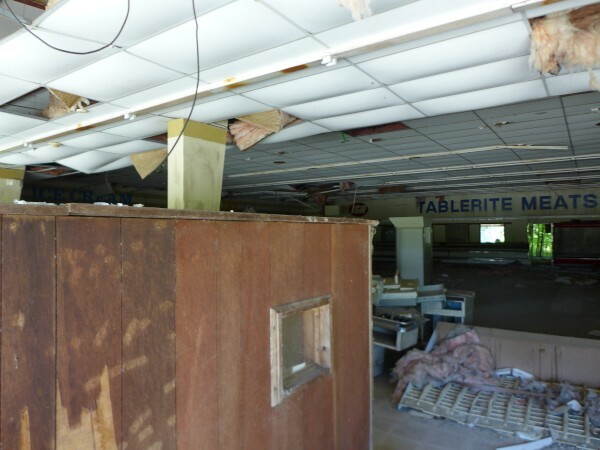 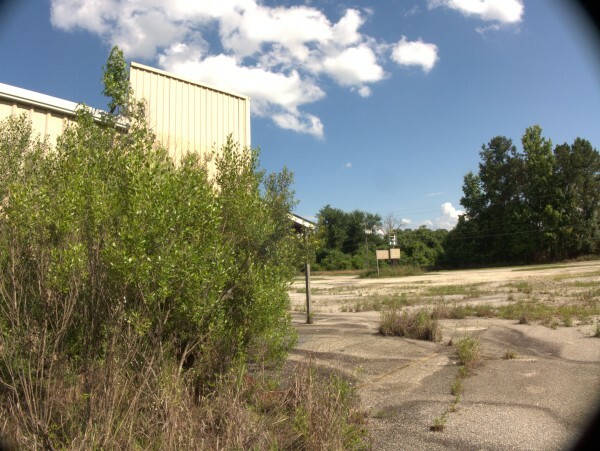 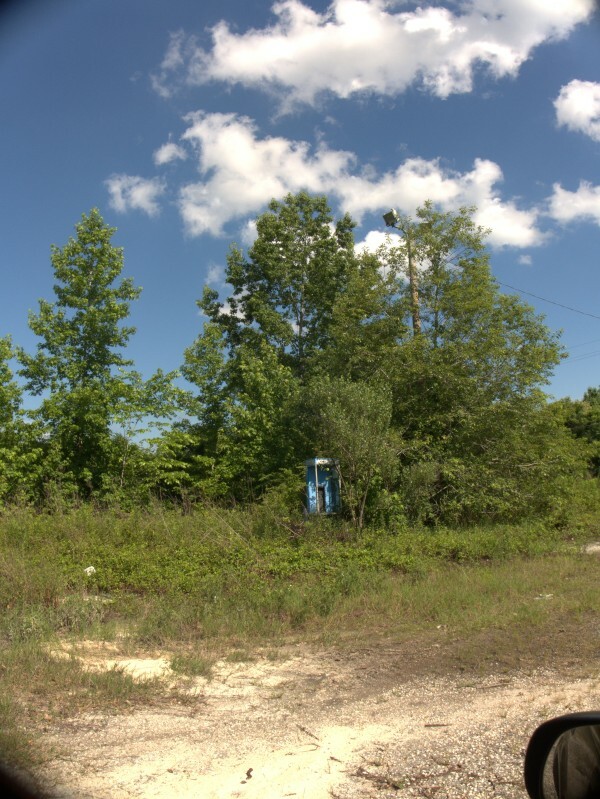 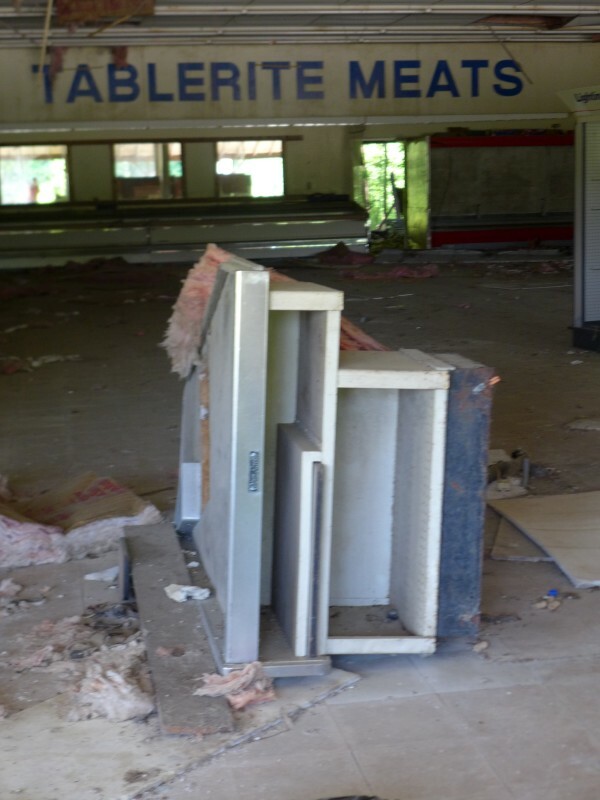 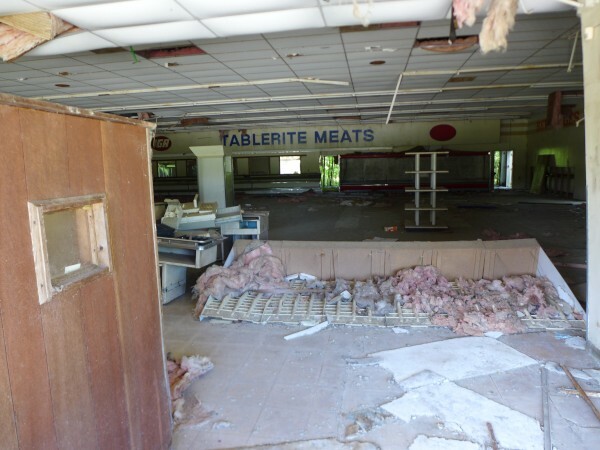 It also notes that this was the only grocery in Greeleyville (which Wikipedia suggests had 375 souls in the 2009 census) and that residents must now drive to Kingstree for a real grocery store, which is a shame.